This recipe makes a lovely, rich sauce that pairs well with robust red meats, such as venison, boar, and beef. The quantities of ingredients can be tweaked to make the sauce thicker or thinner to your preference, and you should also feel free to adjust the amount of pepper to taste. The tartness of the vinegar might surprise you on first taste, but after a little acclimation, we think you’ll like it as much as we do. The charred tasted of the bread combined with the bite of the pepper rounds out the flavor sensations that go with this sauce. Soak the burned bread in the liquid until it has fallen apart; mash with a fork. Stir in the spices and slowly bring to a boil. 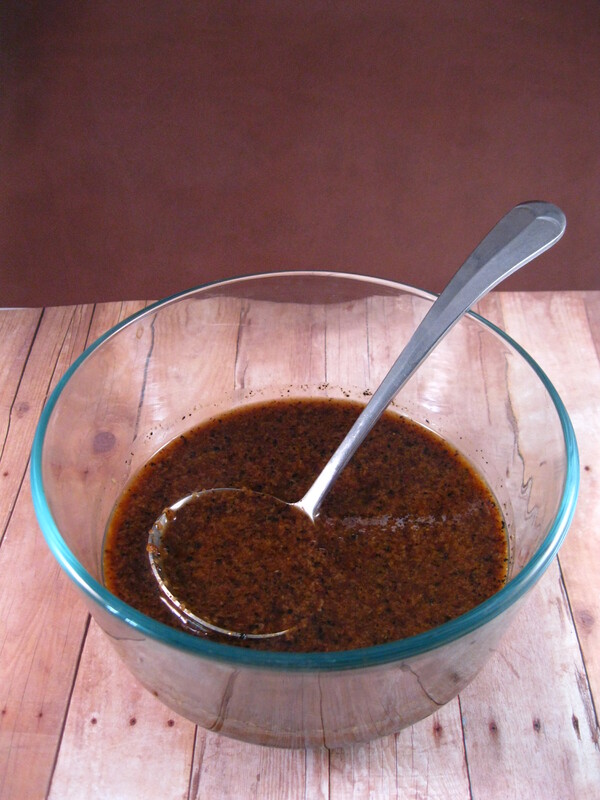 For a thinner sauce, add more liquid; for a smoother version, press through a sieve. I tried the black pepper sauce though I am not a big pepper fan. This sauce may have changed that altogether. It summoned what to me tasted like a true Medieval flavor! I can’t wait to try this, it sounds really interesting! What kind of bread would you recommend for this recipe? Something a bit earthy, but without seeds, is what I usually go for. Any bread will do in a pinch, but try to find something that looks a bit medieval, rather than a modern white bread. Not sure i agree with your redaction. The original says vinegar (optional: and a little verjuice). You have them listed opposite as verjuice and a little vinegar. Also where did the water come from? There is no water mentioned in the original. A single piece of blackened toast will totally absorb 1/3 cup liquid. I sure won’t look like your photo. There has to be at least a cup of liquid, mostly likely more showing in your photo.